Volunteer Artistic Director for the Saskatoon Blues Society and the Saskatoon Winter Blues Festival for the last seven years and a general volunteer for several years prior to that. An enthusiastic fan of blues music since my teens and has even taken a stab or two at playing it, to no avail. The Saskatoon Blues Society’s mission statement is to ‘keep the blues alive” and hopefully I have been able to contribute to that end. 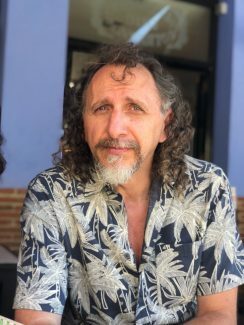 Al Forrie is the current president of the Hornby Island Blues Society and the owner and publisher at Thistledown Press, an award-winning Canadian literary publishing house since 1975. He is an involved member of the Hornby Island volunteer community, having worked with Hornby Island Blues for 12 years and been a contributing member to other Hornby cultural organizations. He also hosts a blues and roots radio program on Saturdays at CHFR – Hornby Island’s community FM station. Suzie Bishop is owner and General Manager (aka administrator, accountant, cook, bottle washer and ambassador!) at Sea Breeze Lodge on Hornby Island. The lodge has been in the family since 1972 and she and her husband’s involvement spans 40 years. They have 2 lovely daughters who are also active in the family business. Growing up in a musical family, Suzie’s passion for live music was imbedded inside her like DNA. Although never venturing into the practice, she has always offered a strong supporting role. After sitting in on a few local volunteer organizations on the Island, Suzie settled into the Treasurer position for the Hornby Island Blues Society and has remained there for seven years. Combining her business skills and passion for music she brings a balance of devil’s advocacy and angelic generosity to this successful, Non-profit organization. The Baltic Blues Society is a non profit association. All activities of the society are part of the official label “BluesBaltica”. Baltic Blues operates three festivals: Bluesfest Eutin – The four day festival was founded by Helge Nickel in 1990. Located as open air on marked square up to 15.000 visitors are following the event. The festivals is three times international awarded: KBA, best festival international (USA 2015), Twoj Blues, best festival international (Poland 2016), Zic A Zac Award best festival international (France 2018). German Blues Challenge, Eutin (Since 2009) in combination with German Blues Awards, Eutin (Since 2010) – The winners of the German Challenge are sent to the Int. Blues Challenge in Memphis (USA). Baltic Blues sent winners solo/duo in 2011 (first winner ever out of US), 2nd placed band in 2013 and several finalists and semi-finalists. Hamburg Blues Nights – Since 2013 this two day indoor festival is held in the north of Hamburg. Additional activities, besides club concerts are Blues@School (Since 2010) and Exhibitions (Since 2008). Offical represantants of the society are Barbara Bloch (president) and Helge Nickel (treasurer and organisation). 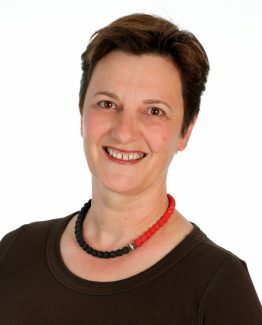 Born in 1963, Susanne Slavicek is the president and one of the founders of the Bluesfestival Baden in Switzerland established in 2004. She holds a Master of Advanced Studies (MAS) in cultural management. She is married to Robert Amsler who is the co-artistic director of the festival and also one the founders. 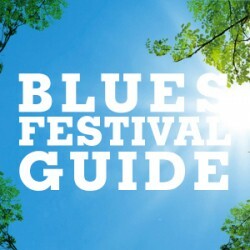 The festival takes place annually for one week at the end of May, attracts more than four thousand visitors and includes a wide variety of activities such as: an annual opening concert in special locations, concerts in clubs, marching bands in town, gigs at a bigger venue, workshops, events at the cinema, concerts on a Blues train or a Blues ship. Furthermore, the Bluesfestival Baden stands out through its youth development program called “Blues for Kids”. Each year kids are selected to form the band «Blues Kidz» and to produce a Blues CD by writing and composing their own songs accompanied by experienced professional musicians and tutors. Besides her commitment to the Bluesfestival Baden, Susanne Slavicek is also lobbying for the importance of culture in politics. She speaks up for the diversity of culture and its meaning in everybody’s life. Susanne has been a member of the town parliament for many years. In addition, she has also been president of the “BLUUS CLUB” Baden for the last 29 years. This club is an association organizing blues concerts once a month. Larry is the Founder/Artistic Director of the award winning Orangeville Blues & Jazz Festival. The festival has been named one of the Top 100 Festival & Events in Ontario 7 times. This is a not for profit organization with close to 200 dedicated volunteers. Larry is an accomplished harmonica player, singer/songwriter who fronts his own blues band Larry Kurtz & The Lawbreakers”. He was honoured in 2016 to receive a Maple Blues Award for the Blues Booster Of The Year. Orangeville Blues & Jazz Festival will present its 17th annual festival May 31 – June 2 2019 in downtown Orangeville, Ontario Canada. Josh Grossman is a graduate of the University of Toronto’s Jazz Performance Program. As a trumpeter, Josh performed in big bands under the direction of Phil Nimmons, Paul Read, Ron Collier and Paul Ashwell; he has performed with the Chris Hunt Tentet since its inception in 2002. Josh is the founding Artistic Director and Conductor for the 18-piece Toronto Jazz Orchestra, now in its 20th year. Josh has served as Performance Manager for The Glenn Gould School at The Royal Conservatory; Manager for the High Park Choirs of Toronto (now called Young Voices Toronto); and, for ten years, Operations Manager for Continuum Contemporary Music, one of Canada’s top contemporary chamber ensembles. Josh was Artistic Director for the Markham Jazz Festival from 2006 to 2009; since 2010 he has been Artistic Director for Toronto Downtown Jazz (TDJ), producers of the annual TD Toronto Jazz Festival, one of Canada’s largest international music festivals. New York State Blues Festival board president Leslie Garcea has been an active participant in the music scene in Syracuse for many years. Leslie and her husband Rick live in Syracuse, NY where they actively promote and support live, local music. Leslie holds a BA from Muskingum College in Ohio and a Masters in Reading Education from State University of NY in Cortland. Retirement in 2013 has allowed Leslie more time to pursue her passion of supporting live music. Leslie travels to festivals all over the east coast with the focus of finding just that right act for the annual NY State Blues Festival. Having served as Development Director since 2012, Leslie was elected president in 2017. 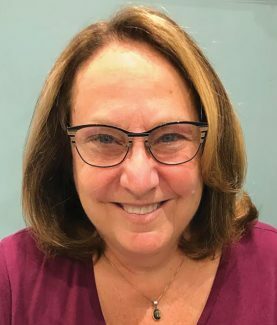 She is credited with securing multiple sponsors and high-stakes government grants, leaving the 27-year festival on solid ground in recent years. The focus of the festival is to preserve, protect and promote blues music in New York State by offering the largest FREE blues festival in the Northeast, one of the last remaining free festivals. Leslie and the entire board are proud to have such a quality event each summer in downtown Syracuse NY and look forward to many more years of continued success. I am programming the Montreal Jazz Fest since 2017. Before that, I also worked in the press relations and in the publicity team since 2013 at the Festivals. It really helps when it comes to build an event as a one/off or just a show that’s different from the rest of the tour that the artists are presenting. What kind of promo is needed, which journalist or media should be contacted. We’re presenting 500+ concerts over 9 days so it’s always good to make things differently. I also worked for about 15 years with bands as tour manager, so I know what’s coming on the other end. Did I mentioned that we also have a ‘’french’’ festival called Francos that happens just a week before Jazz Fest for another 9 days with 300+ concerts? We’re programming a lot of artists if I may. Brian Slack has been in the blues business for over 20 years, holding many different functions. The Montrealer was awarded the Blues Booster Of The Year in 2004 by the Toronto Blues Society. Brian is a founding member of the Montreal Blues Society and has been its Vice President since 1997. He has been programming festivals for over 15 years in Quebec, including the Tremblant International Blues Festival, which celebrated its 25th anniversary this year, and the Trois-Rivières en Blues, which just celebrated its 10th anniversary. In 2013, he was part of the team that won the Keeping The Blues Alive award for the Tremblant International Blues Festival, awarded by The Blues Foundation in Memphis. Brian is also involved with the artistic direction of various other festivals and blues series, providing consulting and programming services. RBC Bluesfest is ranked as one of North America’s most popular outdoor music festivals – July 4-14, 2019 The mandate of the Ottawa Bluesfest organization is to provide a world-class event that showcases local, regional, national and international musicians. The objectives of the Ottawa Bluesfest are: To maintain one of Canada’s foremost music festivals, in the City of Ottawa; To support and sustain the growth of emerging and diverse musical genres, including the Blues, World Music, Alternative, Rock, Jazz, Funk, Soul, Rap, Folk, Urban, etc; To produce and present the art of music to the public, including new audiences, and to sustain a vibrant music community for local, regional, and national artists/performers/composers and songwriters; To provide professional local, regional, and national artists/performers/composers and songwriters with substantial exposure to new audiences. 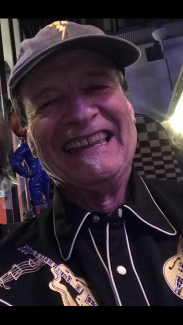 Retired from Managing International Computer Software Industry, Robert Mauriès is now totally invested in the blues Music. Since 12 years he is at the head of the Cahors Blues Festival (the oldest blues festival in France Est. 1981) at full time, and actually as the President as Volunteer. He is one of the major support of the Blues Music accross Europe. Passionate of this Music and a collector of original records of these artists who have created this Music. After Cahors Blues Festival was awarded in 2014 with a Mississippi Blues trail Marker (only Two Markers outside USA in the world) from the Tennessee State, Robert Mauriès was awarded in 2015 with a « Behind the Scene Award » for his work, by the European Blues Union. Under his Management Cahors Blues Festival received in 2016 a KBA (Keeping the Blues Alive) from the Memphis Blues Foundation. Robert is also a very strong Promoter of the Canadian Blues Artists, many of them have already played on the Cahors Blues Festival Main Stage, the most important Blues (and only Blues…) Festival in France. Rick and Marilyn Clarke have shared a life-long passion for the blues and have been actively supporting their favourite music for the last twenty years, originally as founding members of the Great Lakes Blues Society and after retiring to Bruce County, as founding members of the Bruce County Blues Society, of which Marilyn is currently President. Twelve years ago, they formed Rick and Marilyn Blues Productions to add to the opportunities for blues artists to perform in the hometown of Kincardine ON. And ten years ago, they staged their first Lighthouse Blues Festival which has been recognized as a Top 100 Festival for the last four years. Whether it’s a festival main stage, a blues society club show or one of their own, Rick and Marilyn have thoroughly enjoyed the opportunity to share the very best blues artists with others. President of Canada South Blues Society for past 6. Years. We host 8 international shows a year plus highlight local talent in member appreciation shows. We also host a Road to Memphis challenge. We are currently in the process of providing a blues in the schools program with the greater Windsor Essex schoolboard.i also host the annual Riverside Bluesfest foodraiser for the unemployed help centre food bank having raised over 15000$ for area foodbank alone with other local charities. McCann is also advisor to the Bluesfest Windsor board. Since 2004, Jeff (Founder and Producer) and Vanessa (Associate Producer) have led the all-volunteer, non-profit organization, Playing with Fire (PwF), in the production of more than 120 free family-friendly concerts and music events in Omaha, Nebraska, USA. PwF has provided entertainment to nearly one million fans with performances of over 350 bands featuring over 1000 musicians. PwF has focused on emerging artists with many first-time performances in both Omaha and the USA. We are proud to note that nearly 60% of our artists are Canadians. The 2018 series included Paul Deslauriers Band, MonkeyJunk, Jack de Keyzer, Blackie and The Rodeo Kings, Paul Reddick, and Angel Forrest. The free concert series has a mission to build, engage and celebrate community through music and to support other non-profit organizations by sharing donations received at all free concerts. PwF is also proud to cultivate music education by providing unparalleled performance opportunities to BluesEd, the youth artist development program, which promotes music awareness and education to middle school and high school age musicians. Our hope is to see these artists embrace and carry forward our mission, as we continue to realize and expand it throughout the coming years. Rob Barkshire has been a Blues fan since the late 60’s and has been a performer since that time. He is the President of the Kitchener Blues Festival, and has volunteered at the Festival since 2002. Rob has been a Board Member for over 14 years and has been the President for the last 6 years. Claude Cloutier has been the Artistic Director of the Kitchener Blues Festival since 2007. He was a founding member of the Grand River Blues Society in 2003 and Millrace Folk Festival in 1993. He operated Blues on the East Side from 1999-2001, as a fundraiser for Community Living Cambrige and operated the Gig Theatre. For over 30 years Rick Fenton has made his living in the Music Industry. Starting out as a musician in the late 70’s, he landed at the CBC in 1981 where he was a network music producer in Calgary, Toronto, and Edmonton. Rick moved to Winnipeg in 2001 to take on the position of Artistic Director of the Winnipeg Folk Festival. After four seasons at the festival he started his own company and produced television shows and live events for the Olympics, JunoFest, the Queens visit, Premier’s Conference, and many others. Rick was also a consultant for CanWest helping develop the Raise a Reader Concert series and the CanSpell National Spelling Bee events and television program. For 6 years Rick was the Executive Director of the Western Canadian Music Alliance and the BreakOut West Festival, Conference and the Western Canadian Music Awards. In 2014 Fenton took on the role as the Executive Director of MusicOntario (Ontario’s Music Industry Association) and then V.P. of Business Development for Canadian Music Week. Rick’s other home over the years has been the recording studio, where he’s produced over 20 albums for artists as diverse as Big Dave Mclean, Greyhound Tragedy, Bill Bourne, and Ian Tyson. These days he runs his own company “Fentunes” which produces music festivals (Winnipeg BBQ and Blues Festival), events, and consults on sponsorship and marketing. He is also the VP of Marketing and A&R for Gypsy Soul Records. He is the founder the Donnacona Blues Festival, and he’s the programming and artistic director. Also he’s a bass player for many artists, he did a lot of tours in Canada and Europe. Sarah Kim Turnbull is an artist, arts manager and promoter. She is the Artistic Director of the Markham Jazz Festival and Executive Director of Euphonia, Toronto’s indie classical orchestra. Sarah Kim owns and operates an independent, boutique booking agency specializing in Canadian and European tours. She has represented artists including Elizabeth Shepherd, Terra Hazelton, Jane Bunnett, Michael Occhipinti, Jadea Kelly and Oh Susanna, among others. She is the driving force behind numerous international collaborations including the Canadian presentation of Isreali pianist and composer, Omer Klein, the Canadian debut of pianist and trumpeter, Sebastian Studnitzky (2015 winner of Germany’s ECHO award) and performances in collaboration with the Dubrovnik Symphony Orchestra. For the past 45 years Peter North has worked as a music journalist in both radio (CKUA Radio Network) and print (Edmonton Journal), promoted countless concerts and produced shows for regional theatres and organizations like FolkwaysAlive! at the University of Alberta. In the blues world, North started back in the late seventies promoting shows with the likes of Geoff Muldaur and Amos Garrett, and Big Miller. Since that time North has had the pleasure of bringing acts like James Harman, David Rea, The Derek Trucks Band, Jorma Kaukonen, Honeyboy Edwards, Mark Hummel, MonkeyJunk, Jim Kweskin, Mark DuFresne, Big Dave McLean, Alvin “Youngblood Hart” and many others to the Edmonton area. For the last five years North has been the artistic director of the Salmon Arm Roots & Blues Festival in central B.C., and the festival programming always includes a strong representation of Canadian blues artists. Cam Hayden began working as a full time announcer/producer at Canada’s oldest public broadcaster, The CKUA Radio Network, in 1978. He worked there full time until the fall of 2001, programming all kinds of music and producing documentaries. He continues to host the Friday Night Blues Party, a three hour blues extravaganza now in its 29th year. Cam celebrated 40 years at CKUA last July. Cam was heavily involved in running Edmonton’s legendary City Media Club from 1988 to 1992. In the early 90’s he began putting on stand alone blues shows and in 1998 was a founding member of Blues International Ltd., the production company that started The Edmonton Blues Festival in 1999. Additionally, Cam has been the talent booker for Blues at the Bow, a non – profit music society in Southern Alberta for the past 13 years. The Limestone City Blues Festival runs from Aug 22-25, and is put on by the Downtown Kingston BIA. Grant Payne hasn’t just worked and volunteered in the music industry for over 40 years; he was actually raised in the business. His father, George Payne, was a CJCA broadcaster, and concert promoter in Edmonton during the 1950s to 80s. Consequently the family hosted many touring musicians. Grant grew up coming home to find Chet Atkins petting the family dog or Roy Clark having dinner. In fact Grant’s first guitar lesson was on Johnny Cash’s lap. In the 70s & 80s Grant played guitar and bass in several rock bands and was CJCA FM, CJCA, and K97 broadcaster. In the early 80s Grant became involved in concert promotion. Currently Grant is Vice-President of the Nanaimo Blues Society, Artistic Director of Summertime Blues Festival (a position he’s held for 6 years), and a volunteer broadcaster at CHLY FM where he hosts a twice-weekly Blues show. His latest project is learning to play drums. West Coast Blues Inc presents the Goderich ‘Downtown Shuffle’ and Motorcycle Show, Saturday August 31, Goderich Ontario. West Coast Blues Inc is a registered not for profit organization, promoting music event(s) as a fundraising vehicle, to support local arts and culture projects. This year will be our 14th year celebrating the best in Canadian Blues. Steven Tetz is the Music Manager at Harbourfront Centre, which presents hundreds of concerts, festivals and events annually at its multi-venue 10-acre campus on the waterfront of Toronto. Steven is an artistic producer who has programmed music festivals, events, and multi-disciplinary activations across North America at leading arts institutions, including Harbourfront Centre, The Royal Conservatory of Music, Toronto Distillery District, and Arts Brookfield. He is also an award-winning swing-jazz singer, bandleader, and composer under the artist name Steven Taetz. AJ Gross found his way to Blues music in 1989, working his way up from roadie & doorman at a dive Blues bar to Artist Manager & Talent Buyer in the early 90’s. During the 90s and 2000’s he produced over 200 shows a year working with all types of artists across the musical spectrum including B.B. King, ‪Buddy Guy, ‪Willie Nelson, ‪James Brown and many more. In 2014, he premiered his biggest endeavor yet, the Big Blues Bender. This sold out event has in its short time become one of the Premier Blues events in the world. The Big Blues Bender is a hotel takeover being held in Las Vegas, Nevada with 40 plus bands playing multiple stages. 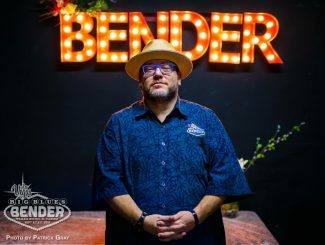 Now in its Sixth year, the Big Blues Bender brings people from all 50 states and almost a dozen countries, including hundreds of Canadians, who make the annual trek. This year also brought his newest festival the Bender Jamboree. The focus at the Bender is for fans & artists to enjoy an immersive musical experience with, Everything, an elevator ride away. Staeben has been programming Harvest in Fredericton for the past 23 festivals, driving it to new heights as one of Atlantic Canada’s signature events. 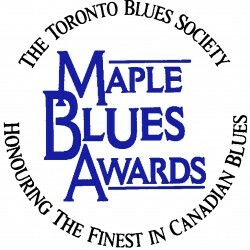 Staeben’s commitment to the blues was first recognized by the Toronto Blues Society in 2000 with the MBA Blues Booster of the Year Award and he later served for many years as Co-Chair of the Maple Blues Awards Nominations Committee. Since then, he’s been honoured by the East Coast Music Awards (ECMAs) as Industry Builder of the Year; the Tourism Industry Association of Canada’s Volunteer of the year; and somehow given The Queen’s Diamond Jubilee Medal as well. In daylight hours, Brent is a utility industry leader and speaker on digital energy and the coming revolution in the electricity sector. Since 2016, Wayne Buttery has been the Artistic Director of the Stonebridge Wasaga Beach Blues Festival. He’s also a singer/songwriter, musician, recording artist and entertainer. Wayne is a former native Torontonian until moving to Orr Lake near Elmvale/Wasaga Beach in 1991. This year’s 2019 festival event marks our 9th anniversary and we are becoming more popular with each passing year. More can be learned about our event at www.WasagaBeachBlues.com. Our Chairperson, Kathy Mulgrew and I will be on hand at this year’s Blues Summit and we’re looking forward to participating. Gary Erwin is a lifelong blues activist/promoter and musician/songwriter originally from Chicago, but now based in Charleston, South Carolina. He books and organizes six annual blues events a year in SC (e.g. his Carolina Downhome Blues Festival will have its 23rd edition this October in Camden, SC) as well as a variety of ‘one-off’ events in the region. Since 1986, when he launched his first blues concert series in Charleston (Henry Townsend, Dr. Ross, Jessie Mae Hemphill, Johnny Shines, Honeyboy Edwards, Lightnin’ Bug Rhodes, Big Boy Henry, R.L. 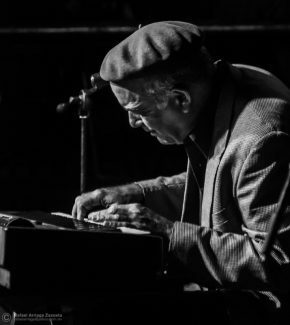 Burnside, and others), he has worked with many blues legends, either as presenter, accompanist/tour manager, or producer (label: Erwin Music, est. 1988). Erwin, as “Shrimp City Slim”, plays 200+ shows per year in the USA and overseas (solo or with band / keys & vocals). shrimpcityslim.com for more info. In addition, he has been active in blues radio in the Southeast since 1984. His latest such project is “Good Mornin’, Blues” heard every Sunday 8 am EST on WCOO-FM in Charleston and worldwide at 1055thebridge.com. He did a feature on Canadian blues artists just two weeks ago. Looking for blues in South Carolina? This is your guy. The Canal Bank Shuffle Blues Festival runs in Thorold Ontario every October, the weekend after Thanksgiving. This year we will present our 18th annual event. Over four days the festival presents 30+ bands from across Canada and the USA. The CBS was the largest donating festival to the Blues Hall of Fame construction in Memphis. Our goal is to ensure Canadian blues artists will be represented in the Hall in the future. One of the prizes at the International Blues Challenge each year is a spot in the CBS. Through that partnership we have been able to introduce bands like Ghost Town Blues Band, JP Soars, Karen Lovely and Selwyn Birchwood to Canadian audiences. This year, we will also present the third annual Blues on the Battlefield, Canada Day weekend. We host a variety of blues shows during the year as we endeavour to make Thorold a destination for lovers of Blues. Johnnie Tibbles has been the President for the past 4 years of the Sault Blues Society (SBS est 2010). He worked in construction for many years before becoming a licensed Aquatic Pesticide applicator for the Federal Government’s Sea Lamprey Control program, retiring in 2016. He has enjoyed music, especially the Blues for many years and has been on 2 LRBC’s and many Blues festivals in Ontario. Most of those festivals were attended with great enjoyment on his 2006 Goldwing motorcycle with his girlfriend Teresa Belanger. He also really enjoys shooting musicians with his camera and has a large collection of photos signed by those musicians. He has also been on numerous annual charity motorcycle rides, including the Ride for “ARCH” the local Soo hospice, the “Toy Run” supporting toys for Christmas Cheer and the “Ride for Sight”. Johnnie has also packed and delivered boxes for Christmas Cheer since the 1990’s. 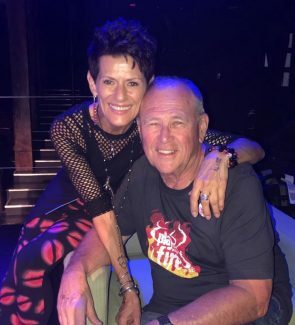 Lori Murray has had a lifelong passion for live music, so becoming a concert promoter with her husband Paul in 2009, was a dream come true. Over the course of 10 seasons and 100 shows, Lori has brought the Blues to Durham Region and they have loved every note. The bands that have performed in Music By The Bay Live venues have loved it too. Many musicians continue to return for repeat, sold-out performances. Now in her fourth year on the Board of the Toronto Blues Society, Lori Murray loves what she does, and the people with whom she does it. 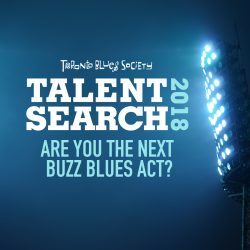 Bringing live music to the residents of her community, creating an opportunity for these great bands to be heard, and working with the Toronto Blues Society makes her work in the music industry a labour of love. Raised in a music-loving family in the Upper Silesia region of Poland, Ewa lives a life filled with music. Focusing on blues and roots music, her work is her passion. Having devoted her entire professional life to the music business, Ewa has gained experience in a variety of music-related jobs. As a journalist, she contributes to Poland’s only blues publication, “Twój Blues“ Quarterly [ www.twojblues.com ]. As a booking agent and tour manager with the Delta Booking Agency [ www.delta.art.pl ] she’s worked with artists like Joe Bonamassa, Beth Hart, Kenny Wayne Shepherd, Robert Randolph & the Family Band, Canada’s own MonkeyJunk, and many others. Ewa is also a member of the Board of the European Blues Union – a pan-European non-profit organization dedicated to promoting the Blues in Europe and strengthening the European blues scene and professional network. Born in Belgium in 1964, Manny Montana has been active in the music industry since he was a teenager growing up in southern France and then back in Belgium. Besides being an active touring musician for years, he also has been, and still is, tour manager, merchandiser, driver, backliner and booking agent. All of which gave him an invaluable insight in every aspect of the tour life. He founded the independent booking agency Teenage Head Music in 1998 providing touring services to mainly overseas acts. Teenage Head Music books between 500 to 600 shows every year across the European continent. Renowned for discovering unsigned talent and putting them on the European touring map, bands include Blackberry Smoke, The Delta Saints, Hogjaw, Robert Jon & The Wreck and many more. Greg Torrington is the programmer for Stingray’s Blues channels in Canada and the US. His past has included radio Music Director in Ottawa; A&R at Warner Music and manager to Canadian blues artists, Colin Linden, Rita Chiarelli and Carlos del Junco. He‘s currently on the FAI and FMC boards. Victoria Shepherd joined the Canadian Live Music Association (formerly Music Canada Live) in 2017 as its inaugural Director of Operations. Victoria is a music industry veteran, starting her career at Music Canada and spending 15 years at Connect Music Licensing, culminating in her role as that organization’s first Executive Director. Victoria currently serves as the Chair of the Programming Advisory Committee at Centennial College’s Music Industry and Arts Program. Derek is a veteran concert and festival promoter based in Toronto. He is involved as a consultant on a variety of projects in the music industry, locally, nationally and internationally. Derek provides management consulting services for a variety of Canadian independent folk, jazz, blues and world music artists. Collections Specialist negotiating with Canada Revenue Agency Collections in all areas of tax debt. 20 years’ experience as a Senior Collections Officer/ Auditor with Canada Revenue Agency: 9 years’ on the Board of Directors of the Kitchener Blues Festival. Founding member of the Grand River Blues Society, established in 2003. Cam Hayden is co-founder of the Edmonton Blues Festival and has been with CKUA Radio, Canada’s oldest public broadcaster, since 1978. Rick Fenton runs his own company “Fentunes” which produces music festivals (Winnipeg BBQ and Blues Festival), events, and consults on sponsorship and marketing. He is also the VP of Marketing and A&R for Gypsy Soul Records. Bill King is an award-winning producer, thirty year Artistic Director of the Beaches International Jazz Festival, and a weekly columnist for Fyi Music News and radio broadcaster at Newstalk 1010 and CIUT89.5 FM. 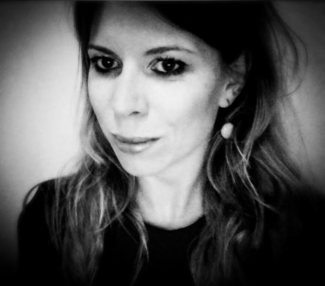 Sarah French has earned a reputation as the go-to publicist for musicians. She has an extensive client roster of some of the best in Canadian blues and roots music. A TBS board member, she was also recently awarded the Keeping the Blues Alive Award from The Blues Foundation in Memphis. Bonnie Fedrau is a veteran in the music industry and has held a variety of positions over her 30 + years in the business. Now at ACTRA RACS (Recording Artists’ Collecting Society) Fedrau and a team of experts are dedicated to ensuring that all recording artists, from session musicians to featured vocalists, are paid for the use of their work. They collect royalties world-wide, representing tens of thousands of recording artists across all genres. ACTRA RACS has collected and distributed over $80 million in neighboring rights royalties. ACTRA RACS pay the musicians and vocalists who perform on the master recordings. Characterized by the Globe and Mail as “an ad industry provocateur,” Son brings more than 25 years of award-winning expertise in strategic branding, creative advertising and innovative online solutions to Blade’s clients. He has released two albums, winning best Blues song of 2013 in the Independent Music Awards for “Brakeman”. Julia Train’s history in the Canadian music industry began with her training in classical piano and love of music. She attended the Harris Institute for the Arts, where she studied Recorded Arts Management. Shortly after graduating, she went to work for the CMRRA’s Royalties Administration department. Julia was a valued member of the FACTOR team from 2008-2011 as a Submissions Coordinator and Communications Manager. Currently, Julia is the Senior Manager, Communications and Outreach at the Musicians’ Rights Organization Canada (MROC) ensuring that musicians receive the recompense that they are entitled. She is also on the Board of Women in Music Canada. Julia is proud to have the opportunity to help the arts, and artists, in Canada and around the world. Renan Yildizdogan is the founder of Gypsy Soul Records. Based in Toronto, the label is home to Samantha Martin & Delta Sugar, Julian Taylor Band, Stone River and many more roots/blues artists. Gypsy Soul Promotions is the label’s services department focusing on Canadian, American and European radio promotion and grants for blues, folk, roots, and soul artists. Before joining SOCAN earlier this year, Aidan was an A&R representative for Warner Chappell Music Canada where he worked closely with the company’s domestic roster and global catalogue. Along with his A&R experience, Aidan has previously acted as Program and Music Director for Ryerson’s online radio station. For the last three years, he has also covered the Canadian music scene and more for Complex Media. Sharla joined FACTOR in April 2018 assisting the role of Jury Supervisor shortly after graduating from the Music Business program at Humber College. September 2018 she started her role as Project Coordinator. She earned her undergrad diploma from Sheridan College in Business Marketing and has been part of several projects within Toronto’s hip hop and Caribbean. Sarah Kim Turnbull is an artist, arts manager and promoter. She is the Artistic Director of the Markham Jazz Festival and Executive Director of Euphonia, Toronto’s indie classical orchestra. Sarah Kim owns and operates an independent, boutique booking agency specializing in Canadian and European tours. Lia joined the Ontario Creates in 2010 and is currently working as Program Coordinator for Ontario Music Fund (OMF), which was created in 2013 and structured to complement other public funding programs and aims to address investment gaps at key phases of company and industry development cycles. She is the first point of contact for new and existing applicants including artist-entrepreneurs, labels, managers and publishers to the Music Futures stream, which is aimed at stimulating entrepreneurship and providing support to develop Ontario’s diverse and emerging music industry and to music presenters, promoters and booking agents through the Live Music stream which is intended to increase the number and quality of live music experiences enjoyed by Ontario residents and visitors at events, festivals and concerts featuring Canadian artists. She’s previously held roles at Ontario Arts Council, HMV Canada and the ROM and is fluent in English and French. Classical Music Officer at the Ontario Arts Council, David Parsons oversees granting programs for many types of music organizations as well as individual musicians and creators. Having undertaken studies in composition, performance, musicology and arts administration, he worked with different organizations in various capacities prior to joining OAC in 2000.